EP Solutions specializes in buying, selling and rebuilding Inserters, MLOCR Sorters, Digital Printers, Folders, Inkjets, Tabbers, Labelers, Conveyors and other products. Our goal is to make sure that we communicate to our customers exactly what they can expect when they are buying from us. We pride ourselves on being honest, upfront and forthcoming about any equipment we sell. Learn more about our rebuilding division. We are familiar with the issues, challenges, and technology that can affect your business. That's why our customers regularly turn to us for consulting services. Our consultants use their expertise to not only help you succeed. We're also committed to helping you significantly reduce your service and maintenance costs. From Bowe Bell & Howell Inserter Services and CMC Inserter Services to Oce and IBM Laser Printing Services, we will help find the service and maintenance contract which best fits the long-term needs of your business. 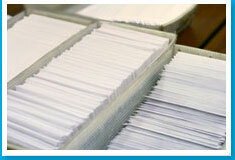 We have been supplying equipment to mail houses for over 20 years. Save on pre-owned equipment from manufacturers you trust. Looking for a product? Have any questions? We’re here for you.